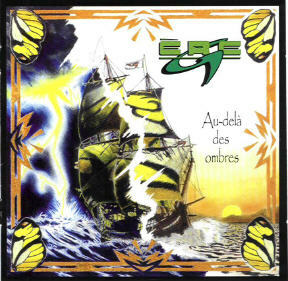 ****** LOW STOCK WARNING ******** The seventh French TV disc brings them ever closer to prog stardom! The line-up this time consists of Mike sary-bass, compositions, Warren Dale (Infinity, Trap)-keys & woodwinds, Chris Smith (Trap)-guitars,violin, mandolin, Chris Vincent-drums, percussion. 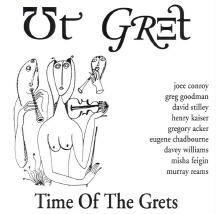 Guests include Dean Zigoris (former member of French TV)-guitar, Greg Acker(Ut Gret, might-as-well-be-a-member of French TV)-saxes & flute, Shawn Persinger(Boud Deun)-acoustic guitar, Cathy Moeller-violin and Cliff Fortney (original vocalist for Happy the Man! )-vocals, flute & recorder on a remake of HTM's "Partly The State"!! Fans of the last French TV will be very pleased and Canterbury fans may find much to love as well! An absolutely great release highlighted by fine compositions and great playing from all, especially the Pat Moraz/Kit Watkins inflected keyboard solos of Mr. Warren Dale! 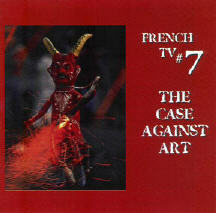 Ere G. "Au Dela des Ombres"
Notify me of updates to French TV "The Case Against Art"